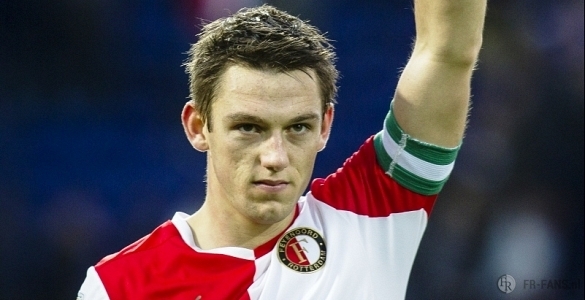 Liverpool are looking to step up their interest in highly-rated Feyenoord defender De Vrij. The Reds’ boss Brendan Rodgers is considering the 21-year-old centre-back as an ideal replacement to Jamie Carragher, who is set to retire from football at the end of the season. Rodgers has flew to Holland to watch the potential recruit in action during Feyenoord 2-1 win over PSV Eindhoven. However Liverpool will face stern competition from the side of Newcastle in the battle for the player’s signature. Despite his relatively young age De Vrij has firmly established himself on a regular basis at the Feijenoord Stadion, making 16 appearances for the club this season.